Loose your woodruff key? You’re not alone. These tiny things have a huge importance. When a magneto flywheel key is missing, and the nut is not fully tight, the flywheel can slip and cause the sparks to happen at the wrong time. Above, some of Myrons keys for sale, made in Germany. L to R: 3.0 x 5.0 (M-86), 2.5 x 3.7 (M-82), 2.0 x 3.7 (M-81), 2.0 x 2.6 (M-80). They look smaller because of the rounded edges, plus the ruler is closer to the camera. 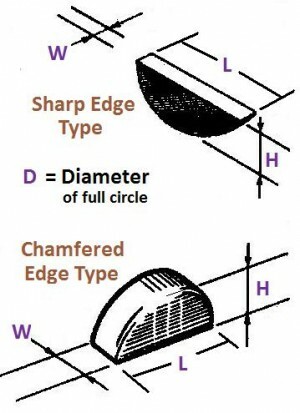 These are the “sharp edge type”, but not “knife edge” sharp. The “chamfered edge type” are way more rounded at the circle edges only. A chamfered key will always replace a sharp key, but only sometimes will a sharp key replace a chamfered key, of the same dimensions. Welcome. These are the engine nuts that go on rotating shafts, rather than stationary nuts, like the head nuts. For head nuts see Engine Top End. Some are very specific and others are more universal. subtitute 4430 plus Ø9x14x6 spacer tube n.a. substitute 4430 ground to12hex + Ø9x12x3 spacer n.a. 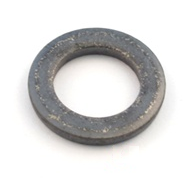 Shim (precision) washers, in blue, are always required. They are all the same size for every machine. Adjustment shim washers, in black, are “as required”. There are different sizes for each machine. Circlips are circular clips. 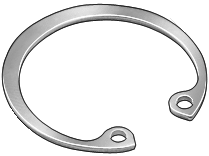 Officially they are known as retaining rings. The “size” is not the actual size, but rather the size of the shaft or hole that it is for. 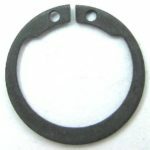 For external rings, the shaft size “For OD” is more than the groove OD, which is more than the actual ring ID. 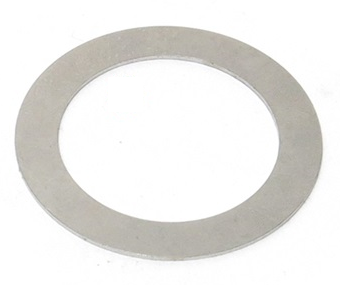 For internal rings, the hole size “For ID” is less than the groove ID, which is less than the actual ring OD. 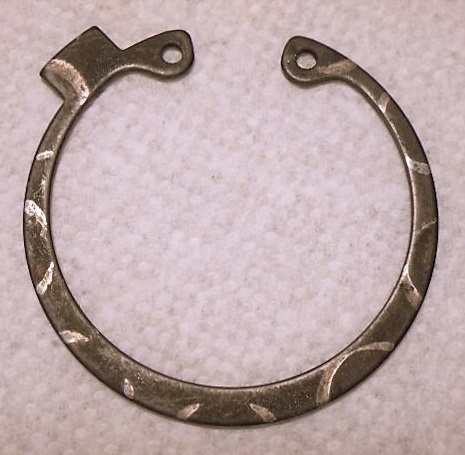 There is a “click” sound when the spring-loaded clip-ring snaps into the clip-ring groove. 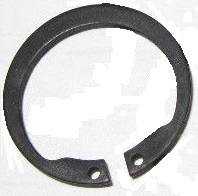 The ring should be free to rotate, but with some friction from the spring tension. If the ring is too big it will rotate with no friction. 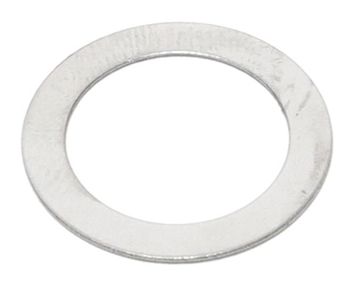 If the ring is too small it will have to be over-stretched to get on, and will rotate with much friction. That’s how to tell if a clip-ring fits properly, by feeling, hearing and seeing. 15 x 1.0 $2 Motobecane #14561, left crankshaft var. and non-var. 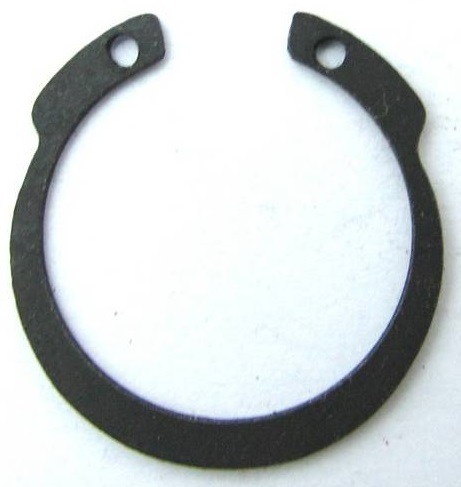 1.4-2 x 0.3 $1 for 1.2 groove, this is Myrons smallest item! 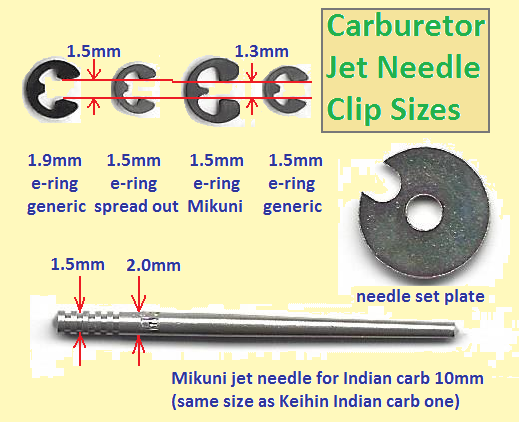 While the other clips are named by the shaft size, these E-clips are often named by the groove size. Since they install from the side they don’t have to spread over the shaft. So the shaft size does not matter. Puch calls the “7-9 x 0.7” e-clip “BZ-circlip 6”. The groove is 6.0mm but the shaft is 7.6mm. Now, do you feel like an engine nut? 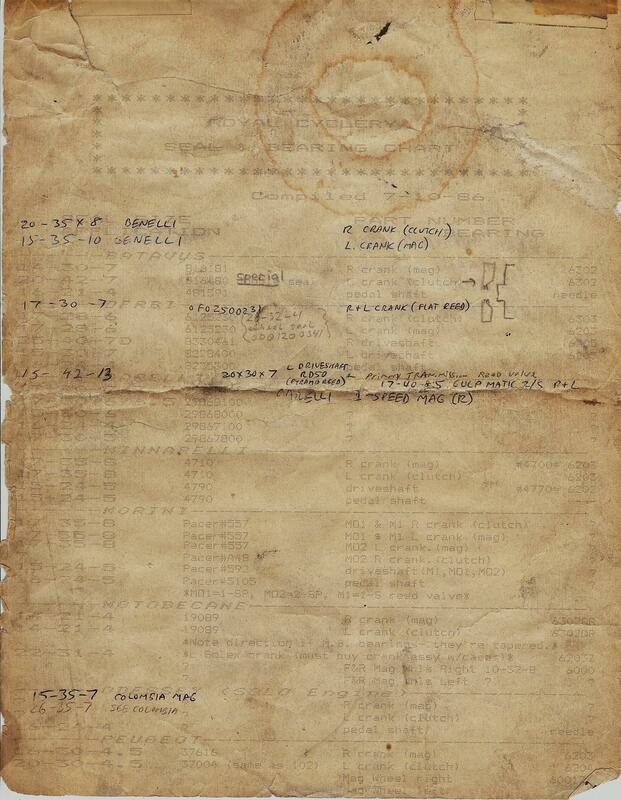 Shaun has been organizing moped parts since 1986, when he made this seal and bearing chart on his Commodore 64. 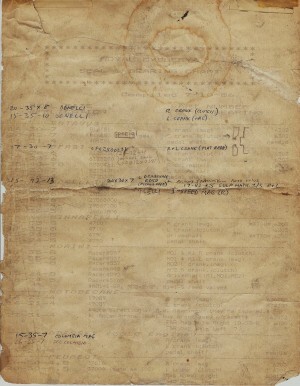 This actual paper was in daily use for 26 years, at Royal Cyclery and Myrons Mopeds! You are currently browsing the archives for the Top End Hardware category.